The Present Simple (also called the Simple Present) verb tense is very common in the English language, so it’s important to understand it well. 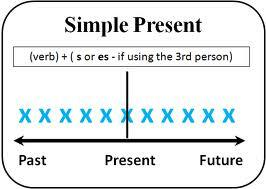 This post will show you how to use the Present Simple. To see how to form the Present Simple, click here. 1. Present Simple is used to talk about activities that happen repeatedly and things that we do regularly, such as habits and routines. Adverbs of frequency are often used with the Present Simple. They often travel to China. She gets up at 8:00 every day. I don’t walk to school. 2. Secondly, we use the Present Simple to talk about factual information, such as general truths, scientific facts, or definitions. My teacher always arrives early. Water boils at 100 celsius. Doctors study for many years. The word smart means “intelligent”. 3. We also use the Present Simple with stative verbs (non-action verbs) to talk about states or conditions, such as physical descriptions, feelings, relationships, knowledge, beliefs or possession. She is short and has long hair. We want a new car. They belong to the yacht club. They work at a bank. I‘m not American, I‘m Canadian. 5. The Present Simple is also used with the Zero conditional. 6. We use the Present Simple to talk about what happens in books, movies, and plays. In this book, the hero saves the princess and marries her. The main character is very pretty and works at a café. 7. Future schedules, timetables, and fixed plans are expressed with the Present Simple, usually when they are set by an organization, not by us. School begins at 9:00 and ends at 3:00. The plane doesn’t arrive at 3:00, it arrives at 3:30. 8. And lastly, we also use it to talk about the future after words such as “when”, “until”, “before”, “after”, and “as soon as”. I won’t go out until it stops raining. I’ll give you the book before you go. I’m going to make dinner after I watch the news. She’ll come as soon as her babysitter arrives. We use the Zero Conditional to express general truths and facts. 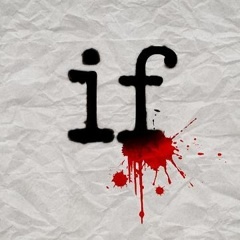 We are thinking about a result that is always true for this condition, and an absolute certainty. We are not thinking about the future, past, or present, but only of a simple fact. The important thing about the zero conditional is that the condition always has the same result. We use the Present Simple tense to talk about the condition, and the Present Simple tense to talk about the result. If you don’t love, you can’t live. If I sleep too late, I miss my morning class. If people don’t eat, they get hungry. If you drink too much, do you get a hangover? You can’t live if you don’t love. I am disappointed if you don’t pass your exams. Do you go to the doctor if you are sick?